"Whilst it can reasonably be concluded that a police officer struck the fatal blow, and that that officer came from carrier U.11, I am sure that it will be agreed that the present situation is far from satisfactory and disturbing. The attitude and untruthfulness of some of the officers involved is a contributory factor. It is understandable that because of the events of the day officers were confused, or made mistakes, but one would expect better recall of events by trained police officers. However, there are cases where the evidence shows that certain officers have clearly not told the truth." 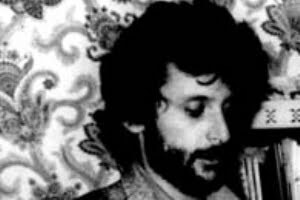 THE Metropolitan Police have finally published the report on their own investigation into the death of Blair Peach, the New Zealander killed on a street in Southall, west London, while taking part in an anti-racist demonstration in April, 1979. Drawn up by Commander John Cass, who ran the Met's internal complaints bureau and led the investigation into Peach's death, the 130-page report confirms and gives substance to what we already knew. Blair Peach was killed by police, specifically by a member of the elite Special Patrol Group(SPG), who then covered up. It says the 33-year old teacher was killed by a blow to the side of the head, and that it could "reasonably be concluded that a police officer struck the fatal blow". It identifies a police van carrying six officers which was at the scene when the fatal blow was struck. Sir Paul Stephenson, the Metropolitan Police commissioner, said the report made "uncomfortable reading" but unequivocally accepted the finding that a Met officer was likely to be responsible for the death and expressed his "regret". Relations between Southall's Asian community and the police had been worsening for some time before this attack, as had tension inflamed by the racist National Front(NF). People complained of police harassment and brutality, and accused the police of failing to take seriously concern about racial attacks. Chaggar's killers were never convicted. Then as the general election approached in 1979, Southall people were shocked to hear that the National Front had been given permission to hold a meeting on St.George's Day in Southall Town Hall. On April 18, a Southall residents' delegation met with Labour's Home Secretary Merlyn Rees to ask him to ban the Front's meeting. Rees declined. Instead, the Metropolitan police was instructed to make sure the NF meeting could proceed and be open. On Sunday April 22,five thousand people marched to Ealing Town Hall to protest against the Front being allowed to use council premises. They handed in a petition signed by 10,000 residents. Workers in nearby factories decided to strike against the Front coming to Southall - Ford Langley, SunBlest bakery, Walls pie factory and Quaker Oats. So on that Monday there were plenty of people on the streets of Southall, local people joined by anti-racist and anti-fascist campaigners from around London, including a special needs teacher from the East End, a member of the Socialist Workers' Party and Anti-Nazi League, called Blair Peach. There were also thousands of police, including van loads of the elite anti-riot squad, known as the Special Patrol Group, some as we now know armed with weapons of their own choice over and above official issue, and clearly spoiling for a fight, or worse. One witness remembers a police van with "NF" scrawled in the steam on its windows, and an officer inside holding up the ace of spades. "As the police rushed past him, one of them hit him on the head with the stick. I was in my garden and I saw this quite clearly. He was left sitting against the wall. He tried to get up, but he was shivering and looked very strange. He couldn't stand. Then the police came back and told him like this, 'Move! Come on, move!' They were very rough with him and I was shocked because it was clear he was seriously hurt." There were other witnesses whose testimony was the same. A subsequent raid on the lockers of SPG men found several unauthorised weapons including illegal truncheons, knives, two crowbars, a whip, a 3ft wooden stave and a lead-weighted leather stick. One officer had a collection of Nazi regalia which might have indicated where their sympathies and proclivities lay. But none of them would 'rat' on the others, and no one was ever charged. It has taken thirty years of campaigning by friends and family for the police to admit the existence of this report and now to publish it. • Peach was almost certainly killed by an officer from its elite riot squad, known as the Special Patrol Group (SPG). A number of witnesses said they saw him being struck by a police officer, and the report found that "there is no evidence to show he received the injury to the side of his head in any other way". • Despite concluding Peach was killed by a police officer, Cass said there was insufficient evidence to charge any officer over the death, a decision echoed by the director of public prosecutions, to whom his report was delivered. An inquest into the death later returned a verdict of death by misadventure. • Suspicions centred on the SPG carrier U.11, the first vehicle to arrive on Beechcroft Avenue, the street where Peach was found staggering around and concussed. Cass said there was an "indication" that one officer in particular, who first emerged from the carrier but whose name has been redacted from the report, was responsible. • The criminal investigation into Peach's death was hampered by SPG officers, who Cass concluded had lied to him to cover up the actions of their colleagues. He "strongly recommended" that three officers should be charged with conspiracy to pervert the course of justice, giving detailed evidence to show how they were engaged in a "deliberate attempt to conceal the presence of the carrier at the scene at that time". None were ever charged. • From the outset, the Cass investigation appeared unlikely to find an officer guilty. He defined Peach as a member of a "rebellious crowd" in his terms of reference, adding: "Without condoning the death I refer to Archbold 38th edition para 2528: 'In case of riot or rebellious assembly the officers endeavouring to disperse the riot are justified in killing them at common law if the riot cannot otherwise be suppressed'." Along with the Cass report, the Met has released more than 3,000 pages of supporting forensic science documents, witness statements, interviews with officers and legal analysis. They include all the detailed evidence gathered by police in the weeks and months after Peach was killed. The nature of his injuries led at least one pathologist to conclude Peach's skull was crushed with an unauthorised weapon, such as a lead-weighted cosh or police radio. In his report, Cass said the arsenal of weapons caused him "grave concern", but claimed there was insufficient evidence to prosecute the officers involved. In 1987 the SPG were disbanded, replaced by the Territorial Support Group(TSG), who are equipped with acrylic glass riot shields and visored NATO helmets, and trained at Gravesend, in Kent. Some of these were on duty at the Israeli embassy against Gaza war protesters in January, 2009. Sir Paul Stevenson says that, 31 years on from the death of Blair Peach, the Met is a "completely different" force, citing what he says were were rigorous inquiries following the death of Ian Tomlinson , an onlooker at last year's G20 protests. A post mortem said Tomlinson died of heart failure, though video evidence shows him being struck and knocked to the ground by police. The man's family are still awaiting an inquest. Blair Peach's widow, Celia Stubbs, said she was "relieved" to see the report after so long. "This report totally vindicates what we have always believed – that Blair was killed by one of six officers from Unit 1 of the Special Patrol Group whose names have been in the public domain over all these years," she said. Her lawyer, Raju Bhatt, said: "What I read in this report is a senior investigating officer desperately trying to explain away this death, but despite himself, he is driven by the weight of the evidence to conclude that the death was caused by one of his officers," he said. Names of officers and witnesses are blanked out of the report, but their identities can be established from published material, including several unofficial reports into Peach's death and transcripts from his inquest, where several officers gave evidence. The names include five officers serving under Alan Murray, the SPG inspector in charge of the carrier. Aged 29 at the time at the time of the death, Murray resigned from the Met in anger at what he believed was an unfair inquiry by Cass. Murray is now a lecturer in corporate social responsibility at Sheffield University. 31 years that's been sitting in someone's safe. Not the sort of information the public could be trusted with. later 3 of the boy's charged had the murder charge dropped 2 were cleared & the 3third person was found guilty of affray,what a lot of people dont know or care to forget is 1 of the youths is mixed race in my eyes it was not a racial attack. even today i hate the fact i got caught up in a fight where someone died & lost their life but it was not a racial attack. Where did you get your facts from ?